New Year equals a clean house, home, and body. 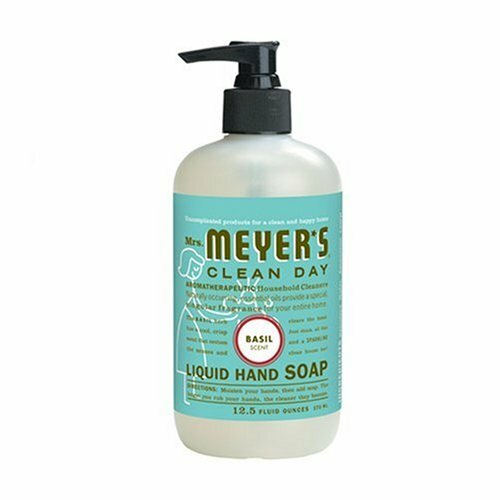 I am completely in love with Mrs. Myers home and personal products, specifically her basil scented hand soap. You cannot go wrong really with any of the wonderful scents that they have created but this one really just makes me want to sniff my hands all day! I will admit, some of the items are a little more expensive than the usual products I purchase but I may have to try a few more just to add a bit more of this basil scent into my life. Check out www.mrsmeyers.com to see all the different products they are currently offering. The best part about these products is that they are earth-friendly, cruelty free and do not test on animals which they talk about right in the about us section. I also have a huge sweet spot for the older generation so it makes me happy that this brand was inspired by the sweet Thelma A. Meyer and created by her daughter to eliminate harsh chemicals and add a beautiful aromat to household products that we can all enjoy (especially if cleaning is not one of your favorite activities). If you get a chance to check out this brand, let me know what you think. If you have a brand you are completely loyal to, let us know what it is and why!